1) Vintage crushed velvet. You’ve seen these seats before. Two of ‘em, perched coolly at the north end of Finca, begging you and a pal to settle in, order some wine, and nibble on a tapa or two. We sourced these babies on eBay, and couldn’t have been more thrilled to introduce them to the space. 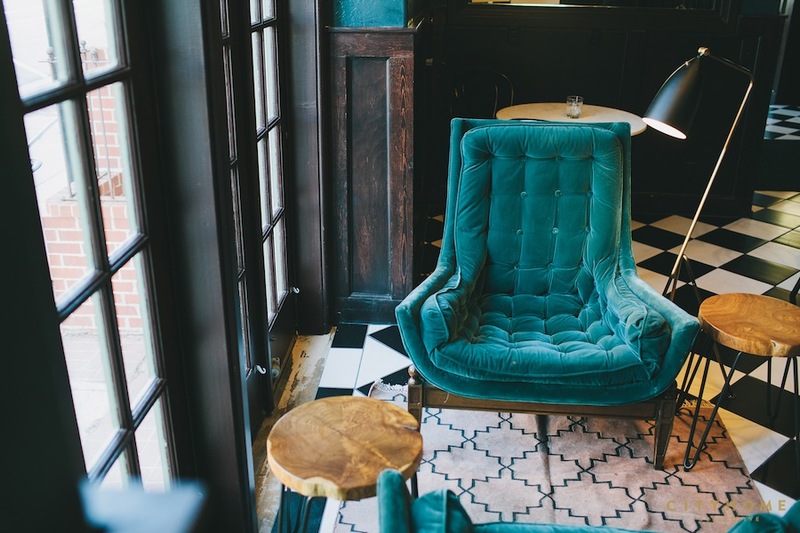 That rich teal perfectly punctuates the deep blue-green of the interior walls. You’re welcome. 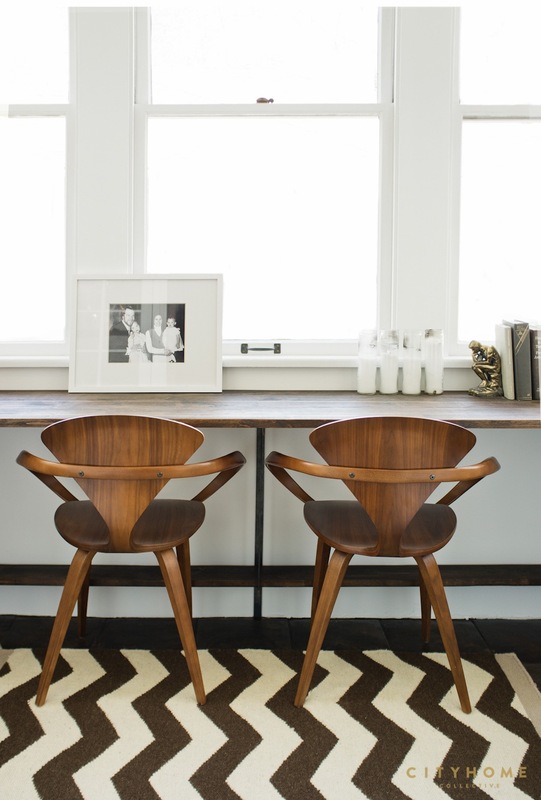 2) Cherner armchair. Obviously. We’re a sucker for these sleek-as-hell, mid-mod masterpieces. Whipped up of molded plywood, this chair was a second attempt and new take on the Pretzel chair by Norman Cherner, who was adamant that he make affordable and beautiful design a reality. It’s the kind of persistence for which we’re eternally grateful. Shown below in Cody’s Maryland space. 3) Ghost chair. 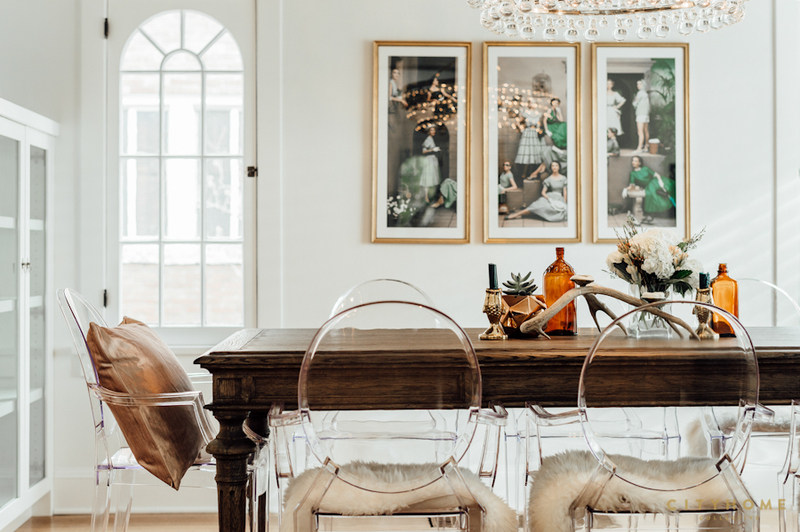 We know that Lucite is a trendy happening just now, but how can you not respect a chair that quietly allows the rest of the room to do the talking? In our design project below, they're in perfect juxtaposition to the traditional dining table, and--adorned with sheepskins--every bit as cozy as you'd like for a transparent item. Plus, it matches the chandelier. Double design win. 4) John Vogel chair. This one is the result of a collaborative effort between the aforementioned designer and West Elm, and we love its simplicity. So much so, in fact, that we used the counter-height version of this same chair in our HSL design project (but we'll get into that more in our bar stools installment). Black on wood always looks good...and "minimal warmth" is one of our favorite combos. 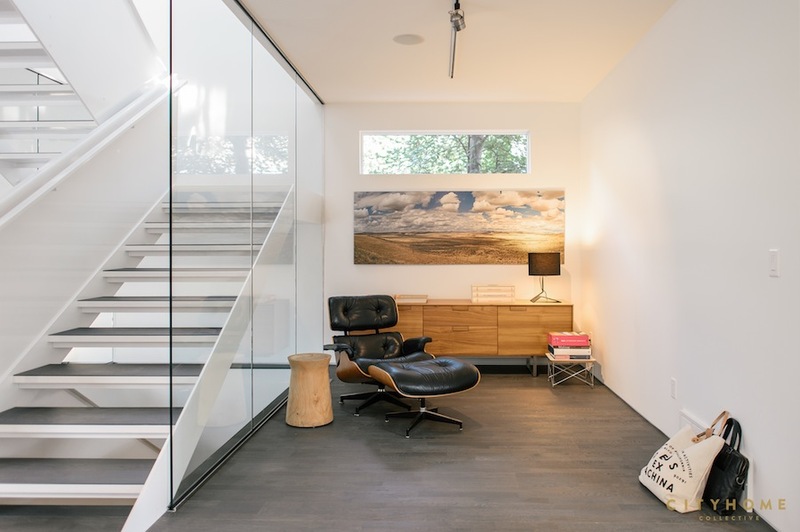 5) Eames lounge. The classics are classic for a reason, guys, and we'd be fools to leave the Eames Lounge off the list of "near and dear to our COLLECTIVE hearts". 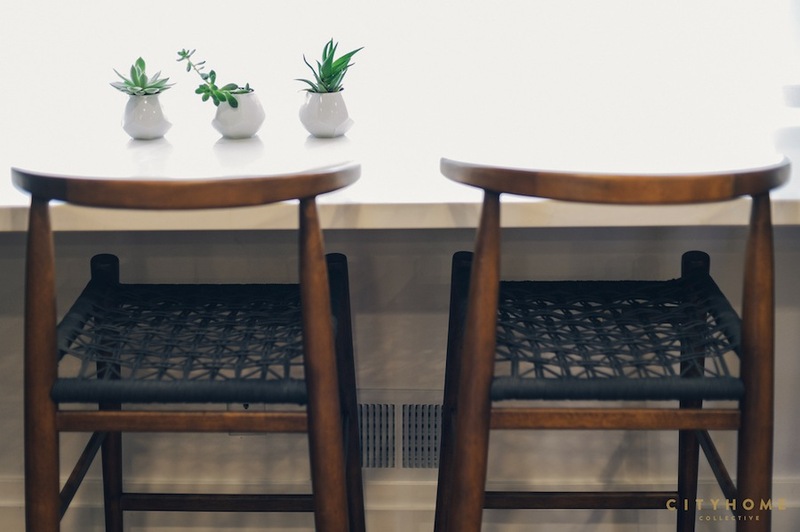 She's as comfy-cozy as she is stunning to look upon (Charles Eames sought the warm, receptive look of a well-used first baseman's mitt), and that's precisely why you'll find her in offices and homes the world over, lending a sense of cultured taste.